3rd Place in Derby #311: Back in Back , with 228 votes! On it's own, it's cute. It's a little koala, hitching a ride on your back, a furry passenger just trying to get from point A to point B and spreading some cheer along the way. Ain't that just the cutest thing? On the other hand, consider it alongside this design. Now, we're looking at a rescue mission. 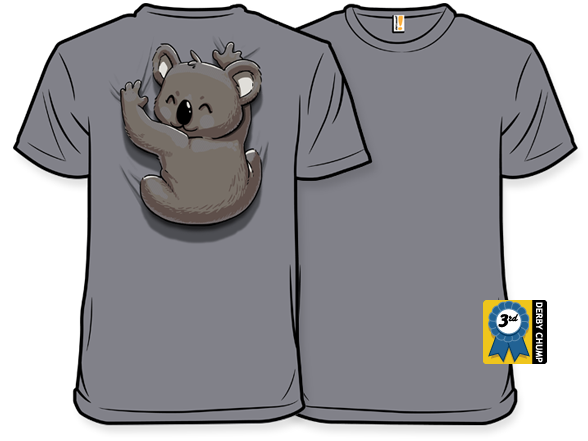 Momma Koala wants Baby back, so she's checking every shirt until she finds her child's captor. And when she does, you better believe heads will roll. 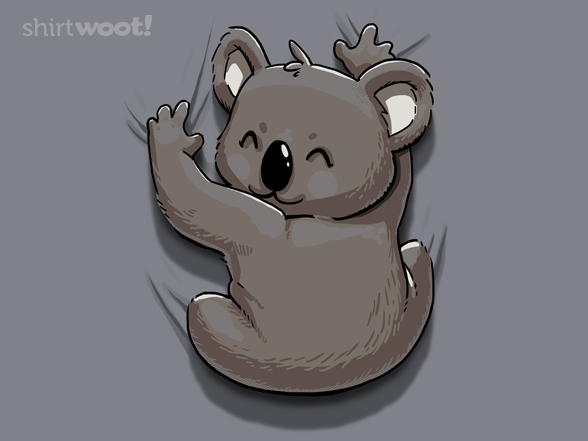 Radscoolian, do you have a koala on your back or are you just happy to see me?